The Senate Gaming Committee passed legislation introduced by St. Sen. John Thrasher to shut down the gaming centers. A state house committee approved similar legislation last week. During a Senate gaming committee hearing on Monday a several opponents of the bill spoke saying closing the internet cafes would cost jobs. They also said they shouldn’t be punished due to the illegal activity of others. The push to close the cafes stems from the arrests last week connected to Allied Veterans of the World. 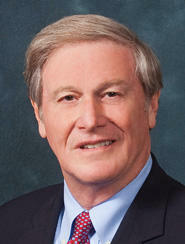 But State Senator John Thrasher, who introduced the bill says the legislation is about ending illegal gambling. The House version of the bill is expected to reach the full house this week. The Senate version has more committee votes ahead of a floor vote a few weeks from now.